Congress should make clear that it not only supports but it will fund public health research into gun violence, which is killing kids at unacceptable rates. 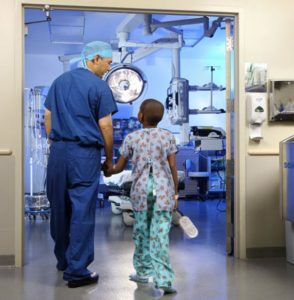 Hospitals and surgeons should make public and transparent their surgical volume and outcome data on procedures performed on youngsters. Federal regulators should stop kidding themselves and allowing the food industry to voluntarily police itself on its junk food advertising targeted at kids. Instead, we need real rules and oversight. A recent media controversy spotlighted how a sizable but extreme slice of America can’t accept any evidence that guns cause harm. Instead, holders of radical views, for example, deny that 26 elementary school children and teachers were killed by a shooter at Sandy Hook Elementary School in Newton, Conn. Before dismissing this wildly counter factual thinking, please note that some who have pushed it now hold places as high as the White House. And Congress, despite outrage after outrage, persists in preventing public health research into gun violence. Gunshots are the second leading cause of injury-related death in children, exceeded only by car accidents. 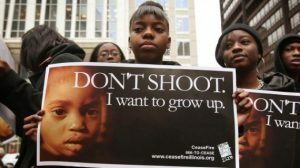 In a typical week in the United States, 25 children die from bullet wounds. Between 2012 and 2014, an average of 1,297 children under age 18 died each year from firearm injuries. Aside from deaths in the course of law enforcement and other circumstances, there were an average of 693 homicides, 493 suicides and 82 unintentional deaths annually. In addition, there were 5,790 nonfatal injuries a year from gunshots, most due to assault. … The annual rate of firearm homicides among African-American children (3.5 per 100,000) was nearly 10 times the rate among whites. But the suicide rate among white children was almost four times the rate among blacks. The rate of unintentional firearm deaths among African-Americans was twice that of white children. It should be no surprise that the nation’s capital has one of the highest firearm death rates for youngsters. Baltimore long has been besieged by epidemic gun violence. With 4 percent of all children under 17 witnessing a shooting within the last year, the Washington Post put up some staggering data visualizations of what it calls contemporary kids’ struggles at Gun Violence Academy. How do we change course? Not that long ago, it was simply accepted that tens of thousands of Americans would die on our roads. Our cars were some of our leading killers with no restraint systems, windshields that shattered into deadly shards, unpadded interiors, steering wheels that turned into bayonets, and fuel tanks that were strapped on bombs. Evidence-based research and effective advocacy by crusaders like Ralph Nader sharply reduced road deaths, though constant vigilance is needed. Why can’t careful public health study produce similar positive outcomes? If you owned a centuries-old virtuoso’s violin, would you let it get stowed in an airline baggage compartment? If you could get your hands on a $2.2 million Ferrari La Aperta, would you have it worked on at the gas station down the street? No? Why then do we ask parents to consider complex pediatric surgeries for their babies, including open heart procedures, without knowing how many such operations doctors and hospitals have performed and their outcomes? This information can help them make much better decisions, argues Peter Pronovost, an anesthesiologist, critical care doctor, director of the Armstrong Institute for Patient Safety and Quality, and senior vice president for patient safety and quality at Johns Hopkins Medicine. He points out that, slowly, medical professionals are providing and analyzing similar data on grownups. Based on four decades of study, he says, researchers know that patients fare better if their surgeons and hospitals have greater experience and frequency with a procedure—it makes human sense that the more often we do complex tasks, successfully, the better we get at them. Pronovost says medical experts and health regulators must help families sort through medical data, so they fully understand it and its role in their decision-making about their children’s care. But he notes that similar processes are under way, for example, with more detailed and accessible hospital ratings. There’s always a risk, too, that one measure may acquire too much prominence of weight in families’ or patients’ medical decision-making. But they’re typically under duress when making some wrenching calls about medical care, so anything that provides more and better help to them sounds worthwhile for a lot more consideration. Just a few years after some of the nation’s top food brands voluntarily committed to promoting healthier eating to kids and to avoid targeting youngsters with junk food ads, lots of loopholes are popping up in the well-intentioned pledge, the Journal of the American Medical Association says. It has published a perspective piece quoting nutrition experts on how fast-food chains and makers of cereals, candies, and soft drinks can’t change the fundamental nature of their products. These and other kid staples too often still contain too much sugar, salt, and empty but big calories. They long have relied on media targeted at kids to push their products, including children’s cartoons, youth broadcast programs, and print and movies. But confronting big advocacy campaigns against them and their products, 18 Big Food enterprises pledged to do better. It hasn’t exactly worked that way, with the Internet catching some of the fault. JAMA reports on an example: An online food promotion for kids that featured colorful cartoons and prizes. It was supposed to be restricted to older kids, but this age-block easily could be bypassed if youngsters were clever enough to enter an altered birth year. Meantime, Big Food interests also are circumventing voluntary guidelines, for example, by putting ads on round-the-clock kids’ broadcast channels, thus, attracting young eyeballs but not in restricted prime times. Or Big Sugar and other food businesses seek programming that appeals to both adults and kids, meaning they hit their real and youthful target audiences while still keeping their do-good pledges. Researchers note that studies show that, despite good intentions, youngsters are getting exposed to a torrent of pitches for unhealthful foods and eating, with poor kids and those of color seeing a disproportionate amount of unhelpful marketing and hype. With American youngsters packing on way too many pounds and suffering the health consequences, it won’t be easy but the nation may be long past due accepting nice talk and it may be time to put regulations and oversight in effect to ensure our kids’ healthful eating.